This week the district would like you to meet Mrs. Sherri Sanger. Mrs. Sanger started with the district 23 years ago as an attendance clerk at Fort Mojave Elementary. 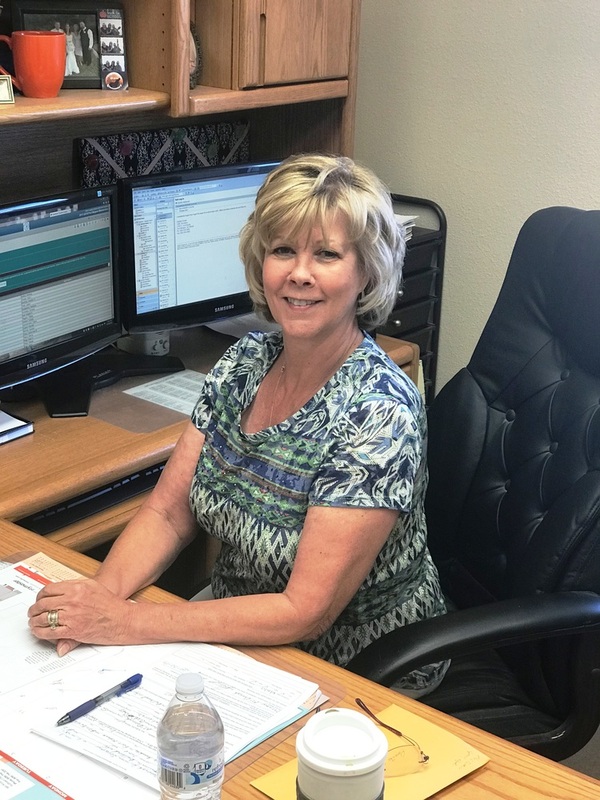 Following its opening in 1998, Mrs. Sanger became the first school secretary at Camp Mohave Elementary, which happens to be one of her fondest memories and proudest moments in her time with Mohave Valley Schools. Mrs. Sanger is currently the district's Special Services Secretary and the district's data steward, overseeing the operation of Synergy, the district's student information system. Besides having the honor of having all three of her children attend our district, starting back when Mohave Valley Elementary was the only school in the district, another interesting fact regarding Mrs. Sanger is that while she hails to Fort Mohave from California, she actually spent two years in Ireland while growing up. "Mrs. Sanger is a valuable member of our special services team noted Mandy Waxler, Director of Special Services. "She's the one who keeps everything orchestrated and running smoothly, not only for special services, but all student data." Thank you Mrs. Sanger for being a valuable part of the Mohave Valley family!